The sleeper hit has awakened! 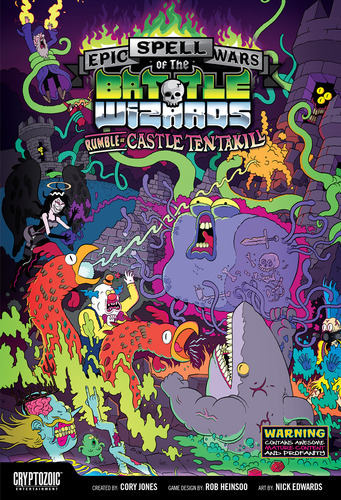 Epic Spell Wars II: Rumble at Castle Tentakill is finally here and it?s loaded with all-new ways to deliver a smoking death to all who oppose you. This stand-alone game is also 100% compatible with the original game, which allows players to turn an already epic game into an EPIC game. 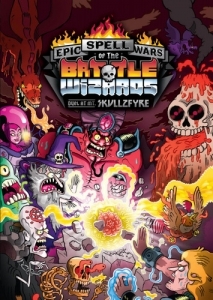 Epic Spell Wars continues its epic quest after airing on TableTop on Geek and Sundry! Featuring game design and all-new art from the original creative team of Cory Jones, Rob Heinsoo, and Nick Edwards.